Instead, he urges that such progress through industrialization, economic growth, and an unsustainable addiction to consumerism desperately needs to be rethought. His radical reconsideration of prevailing models of ‘development’ draws inspiration from the realm of the sacred. He makes a special appeal to Muslims to reflect on their own particular responsibility in addressing the perils faced by the planet. Recognizing, however, that environmental concerns are a collective responsibility, Fazlun Khalid calls on people of all faiths and none, to work together to leave future generations a planet on which they will not only survive but thrive. Fazlun M Khalid was born in Sri Lanka and began his working life in the UK spending much of his career in the British Civil Service. Since 1992, he has devoted himself to raising environmental consciousness among Muslims. 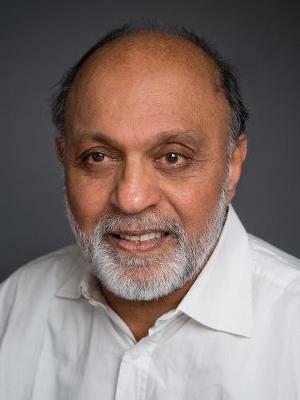 In 1994, he founded the Islamic Foundation for Ecology and Environmental Sciences (IFEES) and over the years has been recognized through numerous awards and accolades as one of the world's most important Islamic environmentalists.